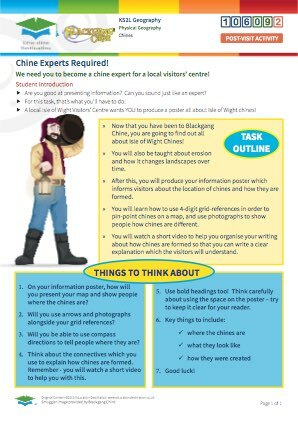 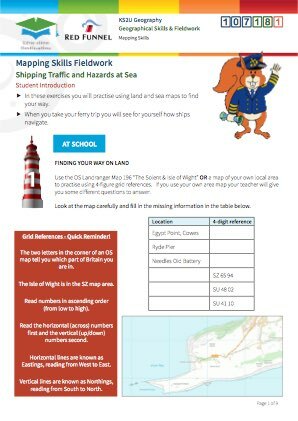 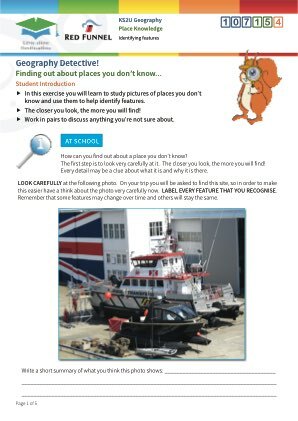 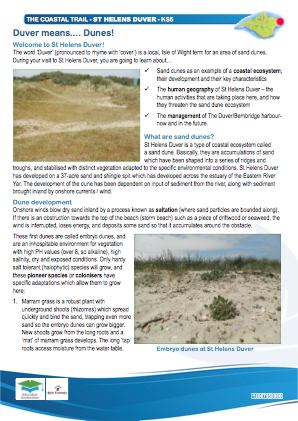 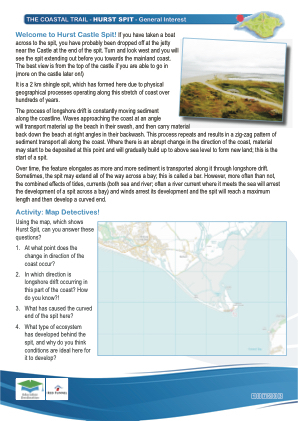 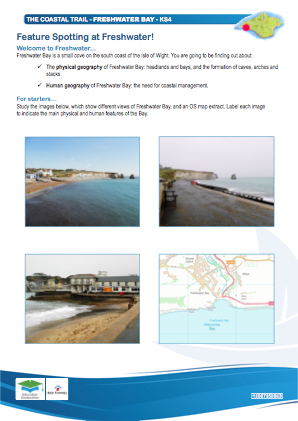 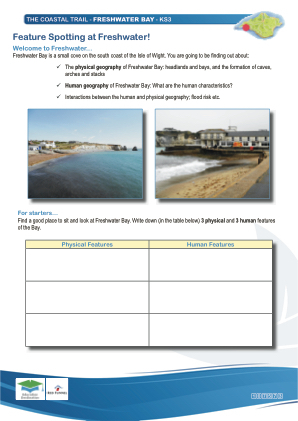 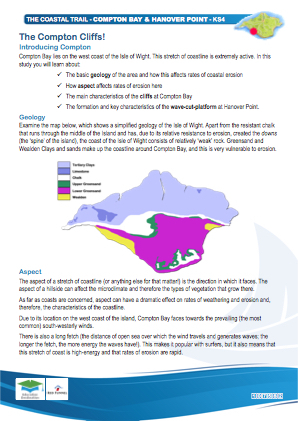 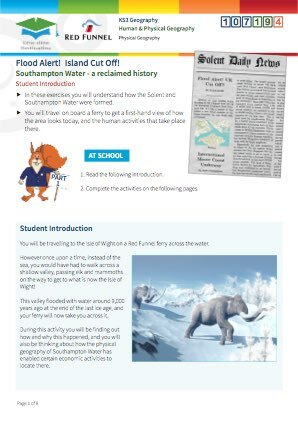 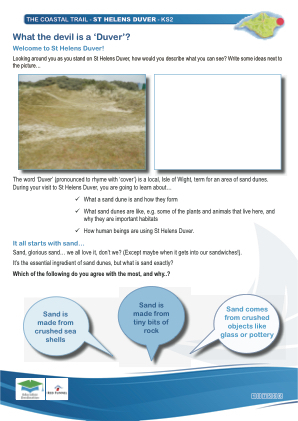 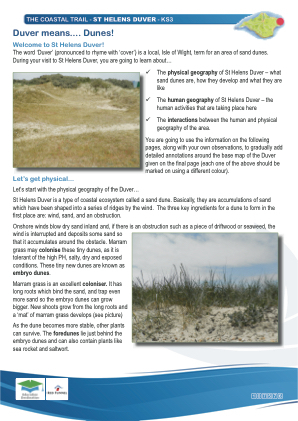 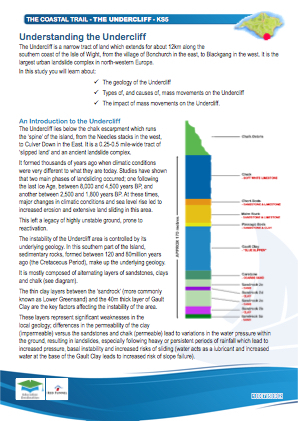 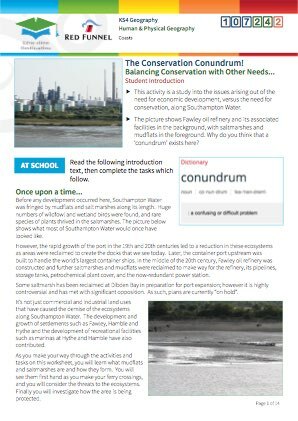 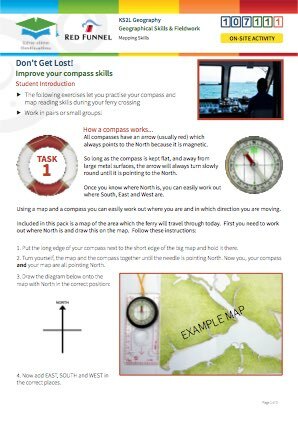 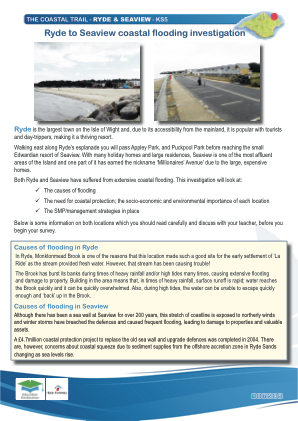 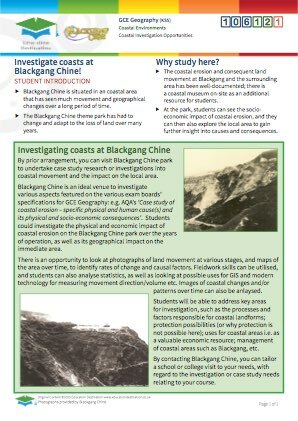 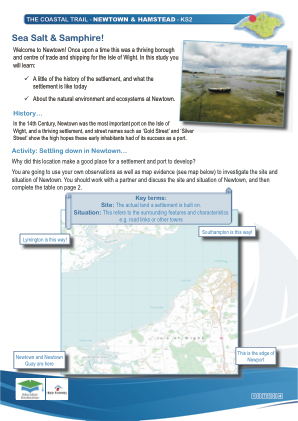 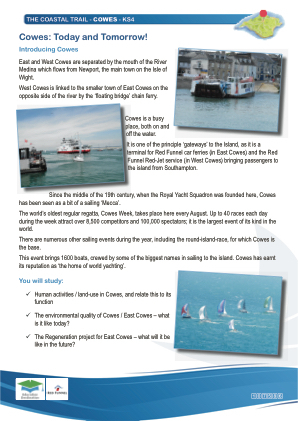 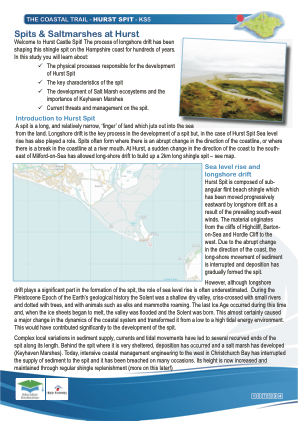 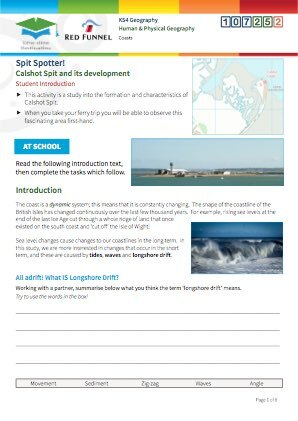 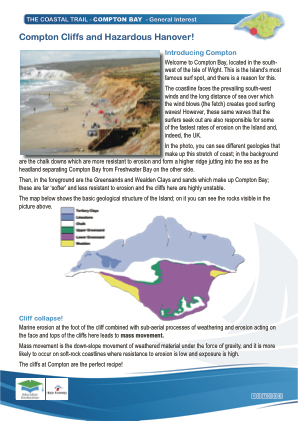 "Often described as "Britain in Miniature", the Isle of Wight and the sea crossing to get here offer much to interest teachers and students of human and physical geography." Your journey begins in Southampton where you'll sail along a ria (flooded river valley) created by the last ice age meltwater, past human features including docks, harbours and marinas, a giant incinerator, an oil refinery, a power station, coastguard buildings, a fort, breakwaters, and natural features such as mud flats, a spit, sandbanks and rapidly eroding cliffs. 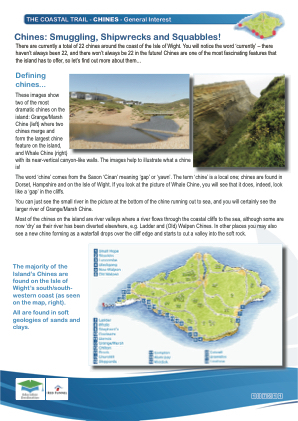 Once on the Island there are literally dozens of interesting sites to choose from, including the world-famous sands of Alum Bay and the iconic Needles. 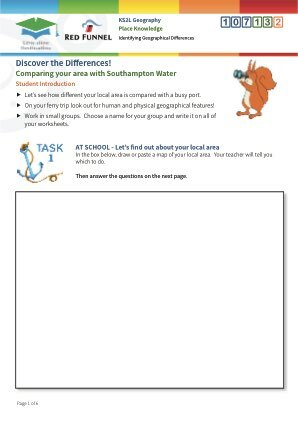 The tour includes a study of coastal erosion at Blackgang Chine, fossil hunting on Compton Beach, a study of the impressive sea defences at Ventnor and a selection of geography related activities at Robin Hill Country Park. 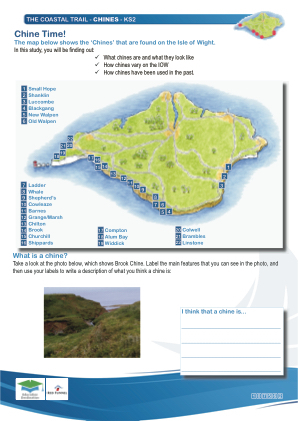 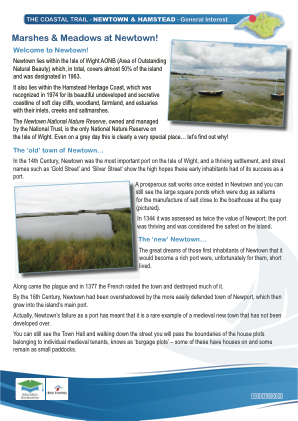 We are more than happy to alter the itinerary to include time to examine additional aspects of this fascinating island. 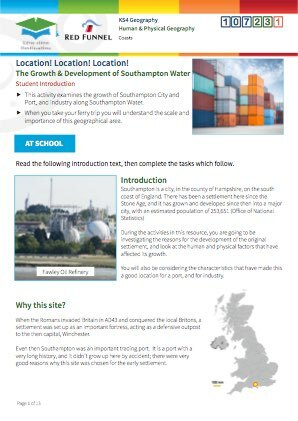 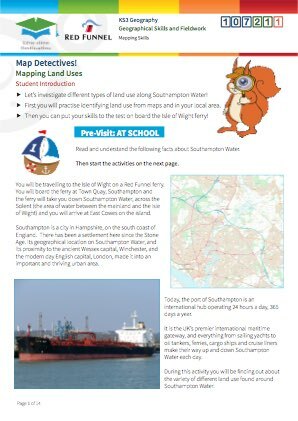 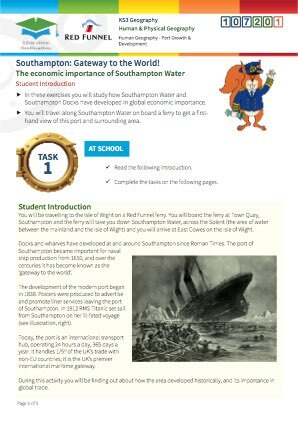 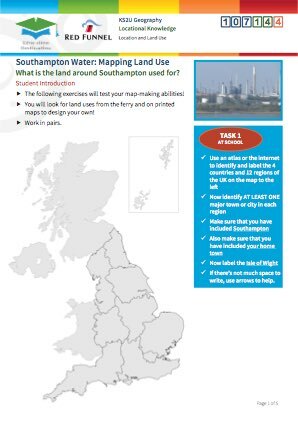 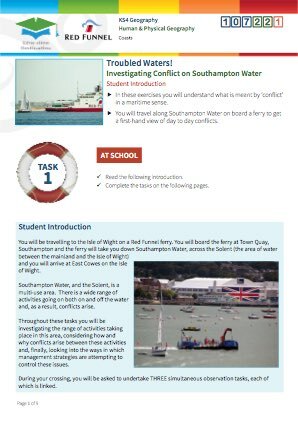 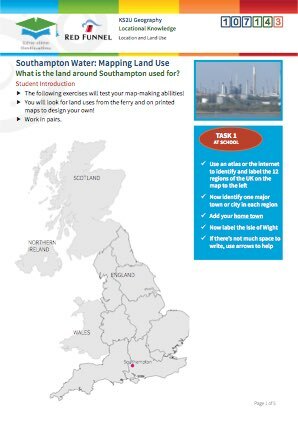 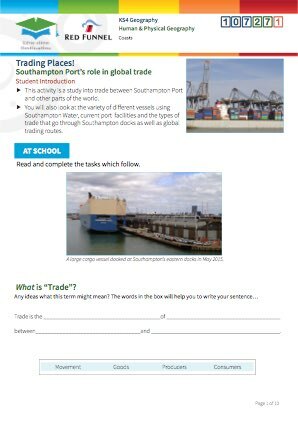 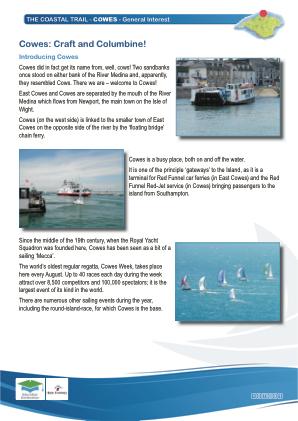 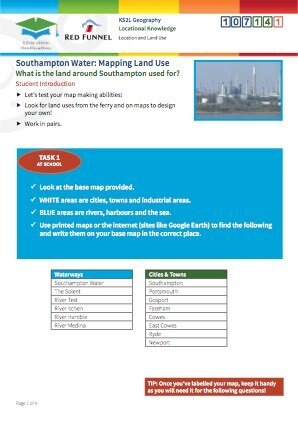 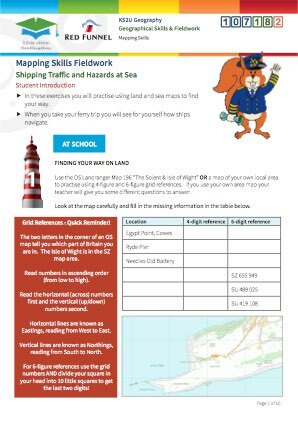 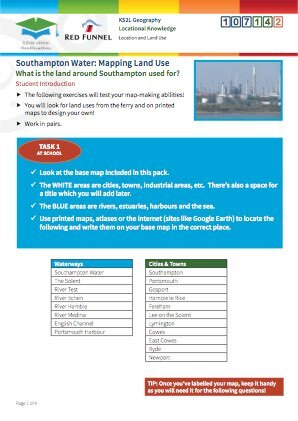 Geography is the key subject for this ferry crossing, which takes you along Southampton Water and across the Solent. 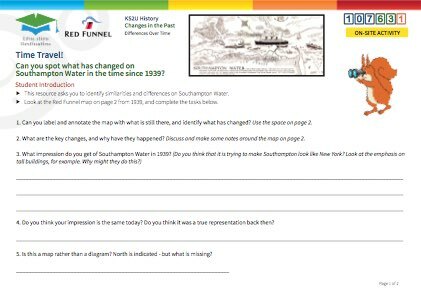 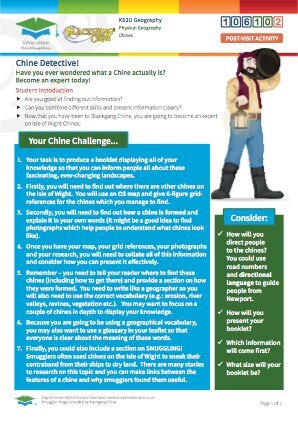 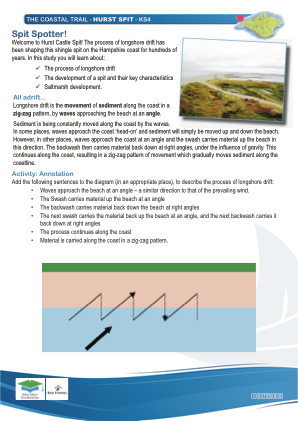 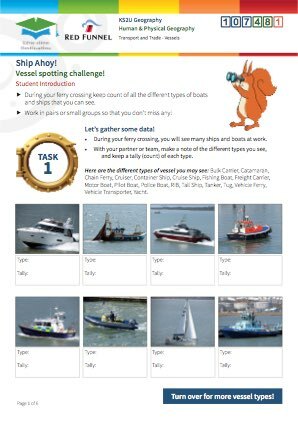 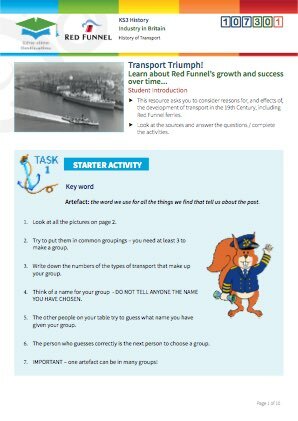 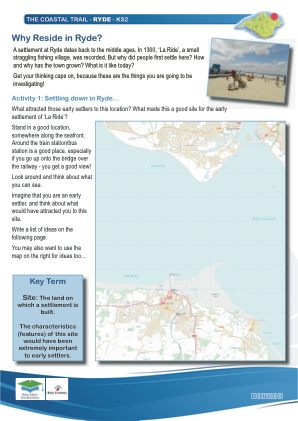 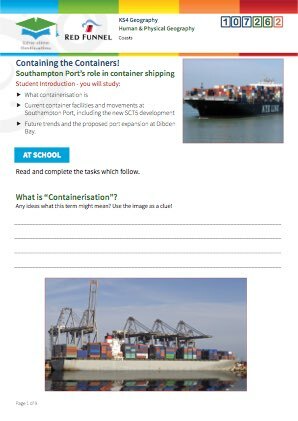 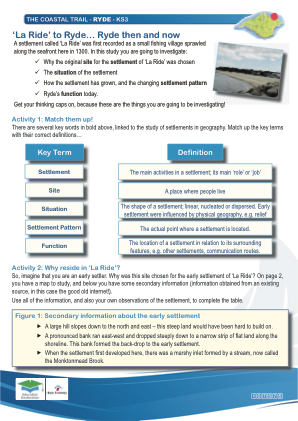 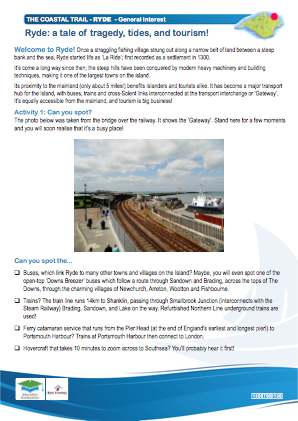 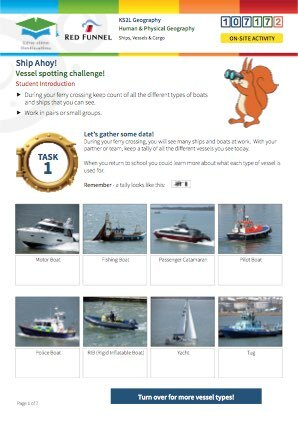 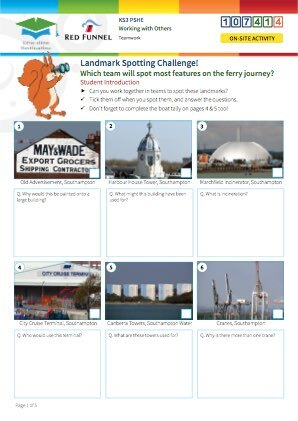 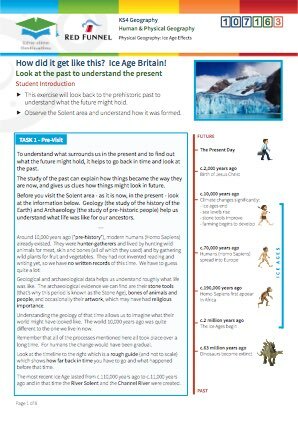 There's sufficient materials available in our Red Funnel resource pack to put together a whole term's scheme of work! 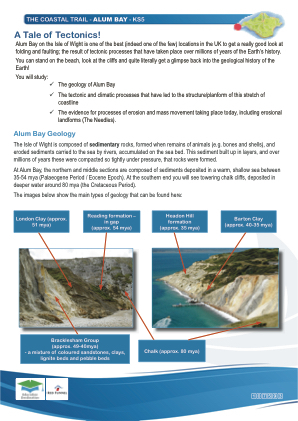 Visit the world-famous Alum Bay and its amazing array of coloured sands, formed by a complex mix of soft sands, clays and some unusual geological folding. 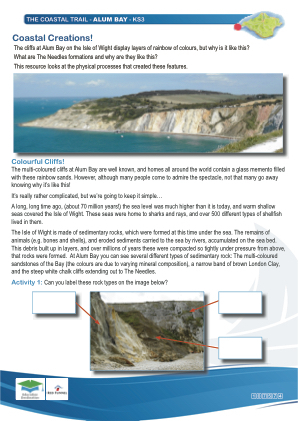 Alum Bay gives a great vantage point for The Needles rock formation. 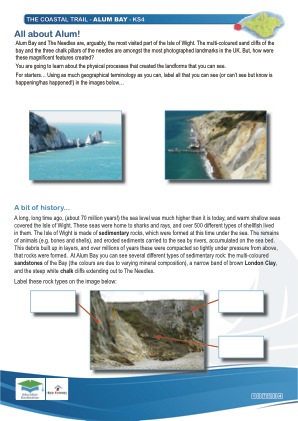 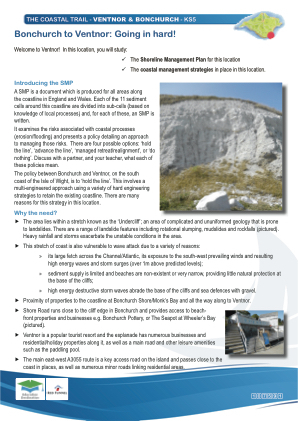 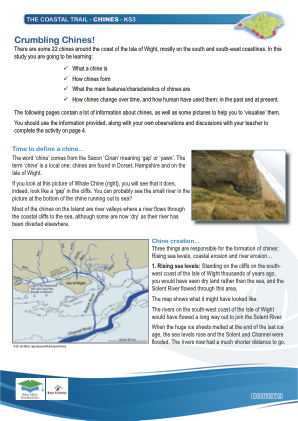 We can optionally arrange a boat trip out to The Needles subject to weather conditions. 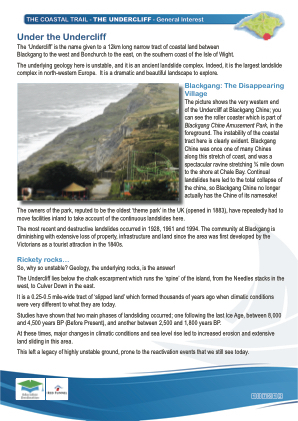 Blackgang Chine is the world's first theme park, built atop a 400ft cliff which has been gradually eroding ever since. 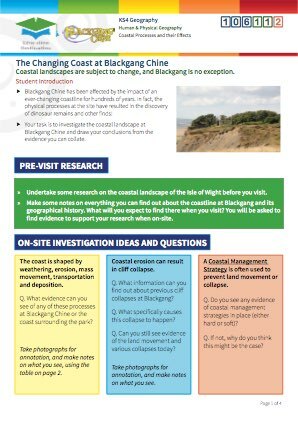 Moving progressively inland, the story of erosion at Blackgang is evident, and from the park today you can see buildings which have recently collapsed and fallen part-way down the cliffs. 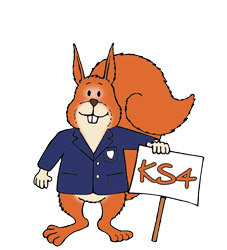 Oh, and it's also a theme park for the students to have a blowout! 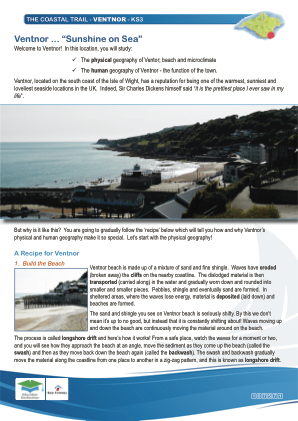 Lying underneath St Boniface Down (241m) and built on steep slopes leading down to the sea, Ventnor's sheltered location results in more sunny days and fewer frosts than most of the UK. 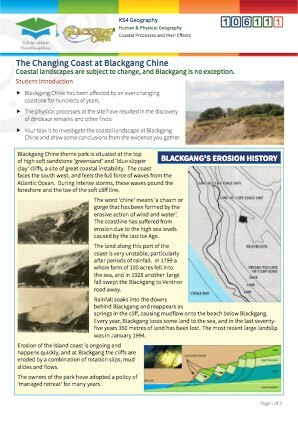 Famously a site of World War 2 radar stations. 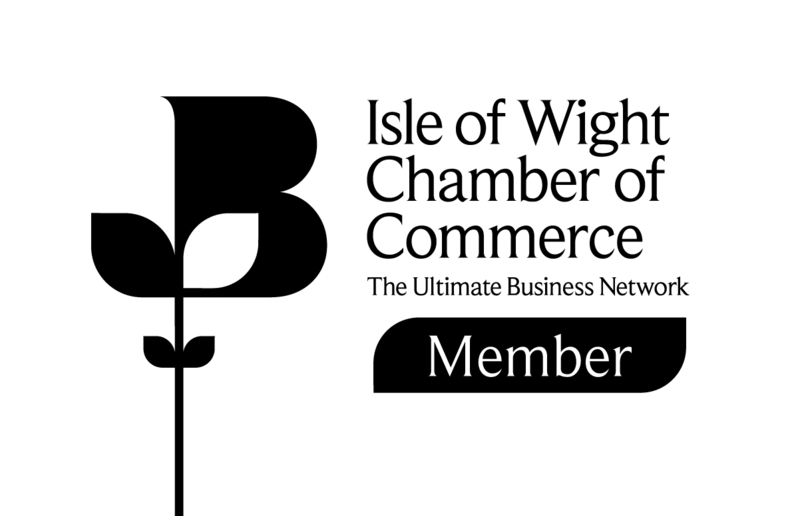 The largest British colony of wall lizards live in walls throughout the town. 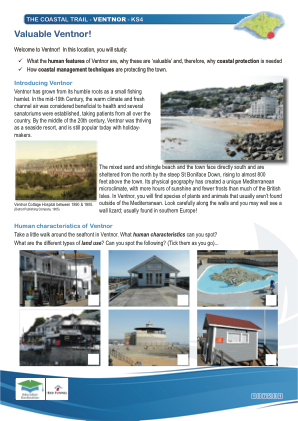 A favourite Victorian holiday destination due to its unusually warm microclimate, Ventnor and its adjacent villages Bonchurch and St Lawrence are built on ground which is notoriously unstable with many buildings lost to subsidence or land falls. 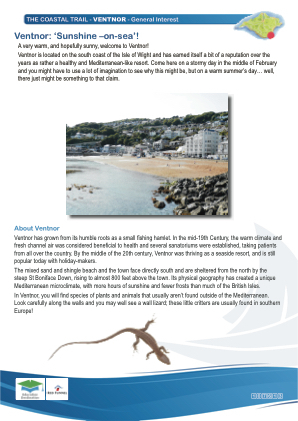 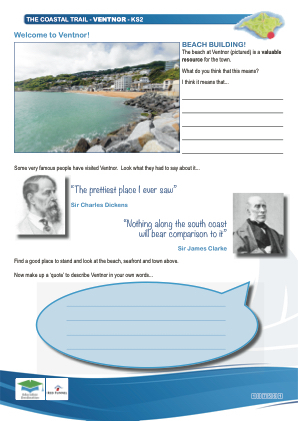 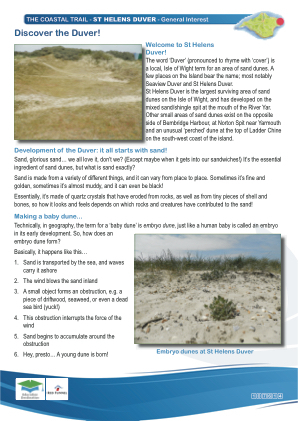 There is much to see in and around Ventnor, and depending on your students' ages and your specific teaching requirements we'll suggest the most appropriate elements. 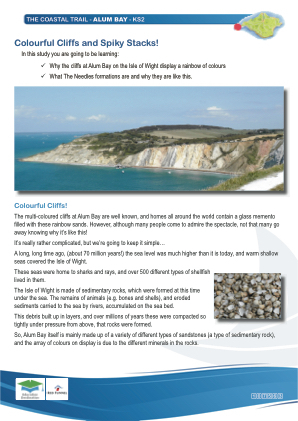 A field centre based on the south west coast of the Isle of Wight displaying fossils and locally inspired palaeoart. 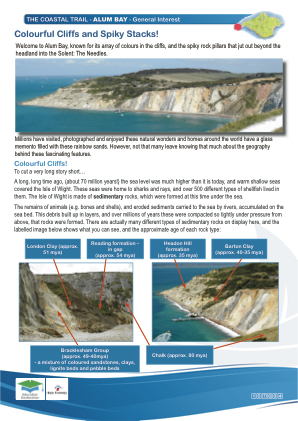 The centre organises fossil hunting trips in some of Europe's best dinosaur locations across the south of the Island. 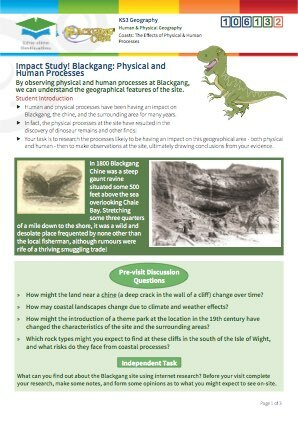 Meet the passionate and knowledgeable volunteers at Dinosaur Expeditions for a tour of their amazing fossil finds now housed in a refurbished farm barn. 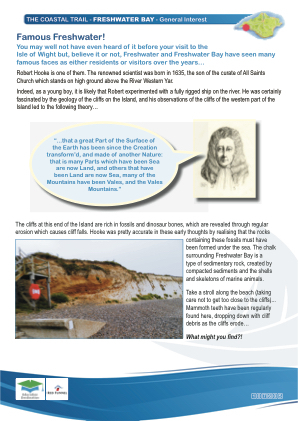 After your talk and Q+A session, head off to the nearby beach for your own fossil hunt, local geology lesson and at the right tide, observe actual dinosaur footprints! 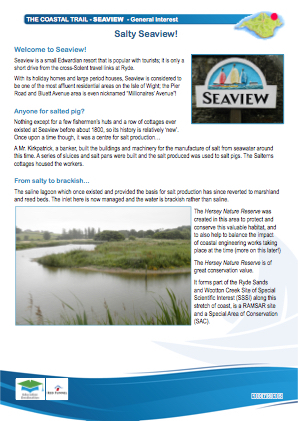 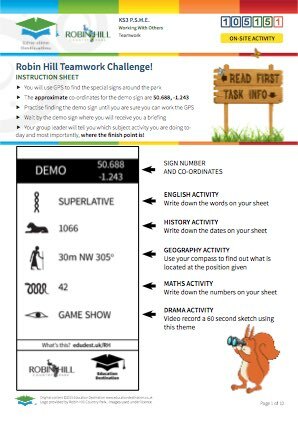 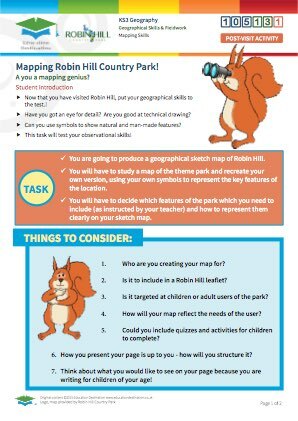 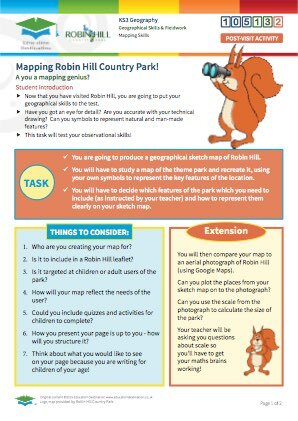 Robin Hill Country Park offers a range of geography resources along with plenty of outdoor activities for a final blowout before the journey home. 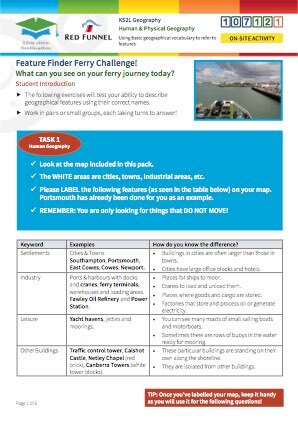 Pick up where you left off on the outward journey and dig deep into the impressive range of resources provided by Red Funnel. 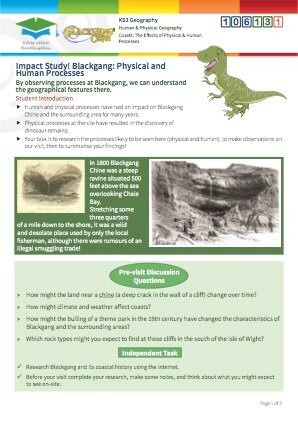 Upper KS2 Mathematics Working Mathematically Dinosaur Expeditions C.I.C. 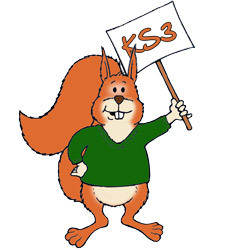 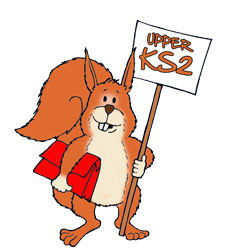 Upper KS2 Science Biology Dinosaur Expeditions C.I.C. 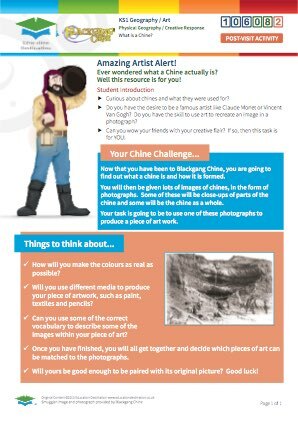 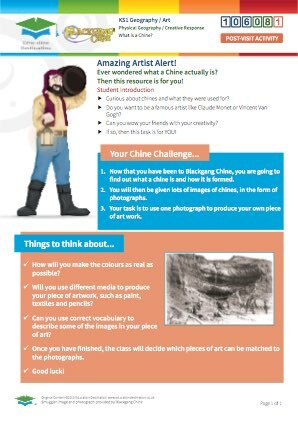 KS3 Art & Design Creativity in Art & Design Dinosaur Expeditions C.I.C.